Pastor Matt teaches from Hebrews 13:9-25. Pastor Curt teaches from Hebrews 13:1-8. Pastor Curt teaches from Hebrews 12:18-29. Pastor Matt teaches from Hebrews 12:12-17. Elder Andy teaches from Hebrews 12:3-11. Pastor Jeff teaches from Hebrews 12:1-2. Pastor Matt teaches from Hebrews 11:30-40. Pastor Curt teaches from Hebrews 11:23-29. Pastor Curt teaches from Hebrews 11:8-22. Brian Upton teaches from Hebrews 11:1-7. Pastor Curt teaches from Hebrews 10:32-39. We Need Jesus - Now!! Pastor Curt teaches from Hebrews 10:26-31. Pastor Curt teaches from Hebrews 10:19-25. Pastor Curt teaches from Hebrews 10:1-18. Pastor Nate teaches from Hebrews 9:23-28. Pastor Jeff teaches from Hebrews 9:15-22. Pastor Dan Baxter teaches from Hebrews 9:1-14. Elder Don teaches from Hebrews 8:6-13. Pastor Curt teaches from Hebrews 8:1-6. All We Need is Jesus! Pastor Curt teaches from Hebrews 7:11-28. Pastor Curt teaches from Hebrews 7:1-10. Pastor Curt teaches from Hebrews 6:13-20. Pastor Curt teaches from Hebrews 6:4-12. Pastor Curt teaches from Hebrews 5:11 - 6:3. Pastor Matt teaches from Hebrews 5:1-10. Pastor Jeff teaches from Hebrews 4:14-16. Pastor Matt teaches from Hebrews 4:1-13. Pastor Curt teaches from Hebrews 3:7-19. Pastor Curt teaches from Hebrews 3:1-6. 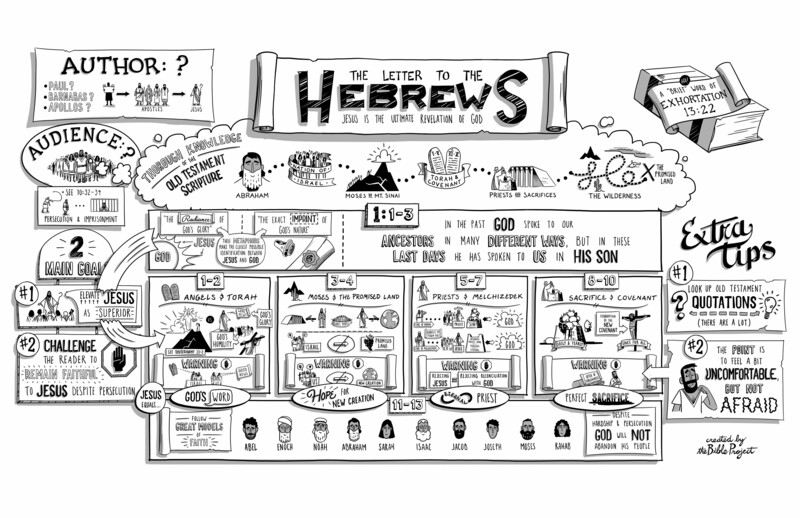 Pastor Jeff teaches from Hebrews 2:10-18. He is Messiah - Savior - King! Pastor Curt teaches from Hebrews 2:5-10. Pastor Matt teaches from Hebrews 2:1-4. Pastor Curt teaches from Hebrews 1:4-14. Pastor Curt teaches from Hebrews 1:1-3.